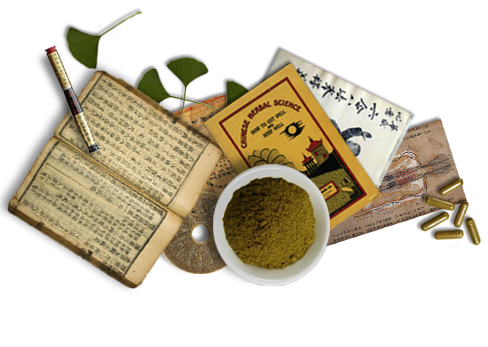 Safe, affordable, and effective Chinese medicine and acupuncture. Musculo-skeletal disorders: Lower back pain, neck and shoulder pain, joint pain, injuries, and muscular aches and pains. Emotional and stress-related disorders: Depression, anxiety, nervous tension, low energy and insomnia. Gynecological disorders: Irregular, heavy or painful menstruation, premenstrual syndrome and menopausal symptoms. Pregnancy-related complaints: Fatigue, edema, and morning sickness. Gastrointestinal disorders: Indigestion, pain, nausea and vomiting, constipation, diarrhea and eating disorders. Respiratory disorders: Allergies, common colds, cough, asthma, and respiratory problems. Supportive therapy: for many chronic and debilitating disorders. For further reference about acupuncture: NIH's National Center for Complementary and Alternative Medicine information site. The explanation of how acupuncture works begins with delving into the philosophical foundation of Classical Chinese Medicine. Within this philosophy, optimal health is best described as a balance within the dynamic circulation of Qi. Qi flows through the body via a network of pathways called meridians and relates to and with the musculo-skeletal system, organ systems, as well as emotions and mind. The circulation of Qi is also effected by external influences such as environment, climate, seasons, and one's immediate surroundings. Acupuncture involves the insertion of needles to facilitate a balanced flow of Qi. Is there anything I should know or do before receiving an acupuncture treatment? Following are some general suggestions: Ideally, wear comfortable and loose clothing. If needed, a drape will be provided for you. Best not to drink coffee or caffeinated beverages immediately prior to your acupuncture treatment. As far as food goes, you want to have something to eat before you come in but you will be more comfortable if you are not overly full. Good idea to have a snack or light meal within the past few hours prior to an acupuncture treatment. Standard practice for licensed acupuncturists today is to use sterile disposable needles. Acupuncture needles are made of stainless steel, pre-sterilized and packaged. Needles are for a one-time use only and disposed in a biohazard container after each treatment. What should I do while receiving acupuncture? Simply relax. Acupuncture sessions offer a time to rest, open up to your body's own natural processes in healing, and restore balance. Acupuncture needles are typically very fine, and the insertion of acupuncture needles is usually quite painless. In some cases, the needle insertion will go unnoticed, while other times you may feel a quick small pinch. This may be followed by a dull or heavy sensation. How much time should I plan for my appointment? Needles usually remain in place for 10 to 40 minutes. Plan for a longer consultation time at your first visit. Typically you will want to set aside an hour and a half for your first appointment with Paul Bellis and an hour for follow-up appointments. Frequency and amount of treatments depends on each individual's condition and constitution. Pain and discomfort can be alleviated rapidly with acupuncture and herbs. Acute problems tend to respond quickly. Chronic illnesses or injuries may require treatment for several weeks or longer. As with any form of health care, lifestyle, nutrition, attitude and commitment will affect the course and outcome of the treatment process as well. Many insurance companies now provide coverage for part or all of the cost of acupuncture treatments. Coverage depends on the insurance company and policy. It is recommended that you contact your insurance company to find out what coverage you have and if there are any limitations. Please remember, when it comes to insurance coverage, the contract is between you and the insurance company. If the insurance company does not render payment, you will be responsible for payment of amount owed for services rendered. How do I schedule an appointment with Paul Bellis? This office welcomes new patients and we will do our best to accommodate your needs. Please call 503-284-4286 or fill out our contact form to schedule an appointment with Paul. 2013 Paul Bellis Acupuncture LLC. • Located in the Beaumont-Wilshire Neighborhood in Portland, Oregon.